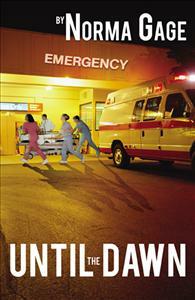 Susan Bailey is a night-shift supervisor in a busy trauma center. She is grieving the loss of her father and the end of a relationship. That is, until she meets the handsome Michael Kephalos. But another woman seems determined to take him away from her. Susan Bailey is a house nursing supervisor in a busy trauma center. Despite pleas from her mother to switch to a day shift position, she continued to toil through nights as she grieved over the loss of her father, and the break-up from a bad relationship. When the handsome Michael Kephalos entered her office looking for help, Susan felt attracted to him immediately. Gossip had it that Michael was engaged to the rich socialite, Mercedes Mitchell. Michael denied involvement in any relationship. She wanted to believe him, but still felt threatened by the shady tactics of this conniving woman.